Official BC Boating License Exam! Do you need to take a boat license course? Do you operate a motorized watercraft in British Columbia? 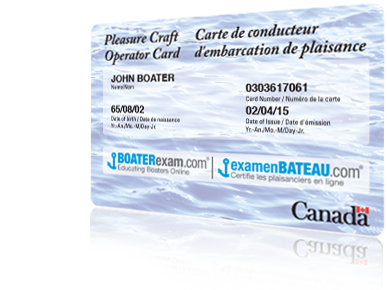 Then you need a Pleasure Craft Operator Card, often called a Boating License. Few cruising grounds in the world can match British Columbia's coastline for stunning scenery, majestic fjords, half-hidden inlets, hundreds of islands, and abundant wildlife. But BC isn’t just majestic coastline. We’re also talking about amazing lakes and rivers that offer a treasure trove of boating, fishing and vacation possibilities. And if that’s not enough, there’s also that temperate BC climate that makes other provinces jealous. Take your BC boating course online and get out on the water today! Do you operate a boat with a motor in British Columbia? 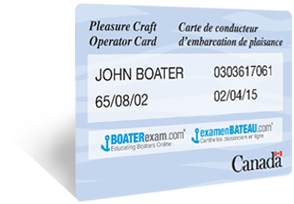 Then by law you need to carry a valid Pleasure Craft Operator Card (also called a Boating License). As of September 15, 2009 all boaters operating in British Columbia waters – and right across Canada – are required to have a Boating License in order to operate a powered watercraft. This is a federal law that applies in all provinces, including BC. Powered watercraft includes any vessel fitted with any size motor — even an electric trolling motor! Students can challenge the Transport Canada exam in person at recognized boat shows and tradeshows across Canada. BOATERexam.com has a TrustPilot rating of 9.2 out of 10 based on 13301 ratings and reviews. 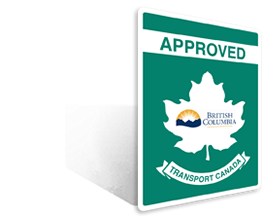 Get your BC boat license online. BC Boating License or Pleasure Craft Operator Card? Students can challenge the Transport Canada exam in person at recognized boat shows and tradeshows across Canada, such as the Vancouver International Boat Show. Whether you call it a BC boating license or a PCOC, you need to carry one onboard if you operate a boat with a motor. Get your PCOC with BOATERexam.com®.